Find a partner, divide the list into two, then underline the consonant pronunciation rule that applies to each word. 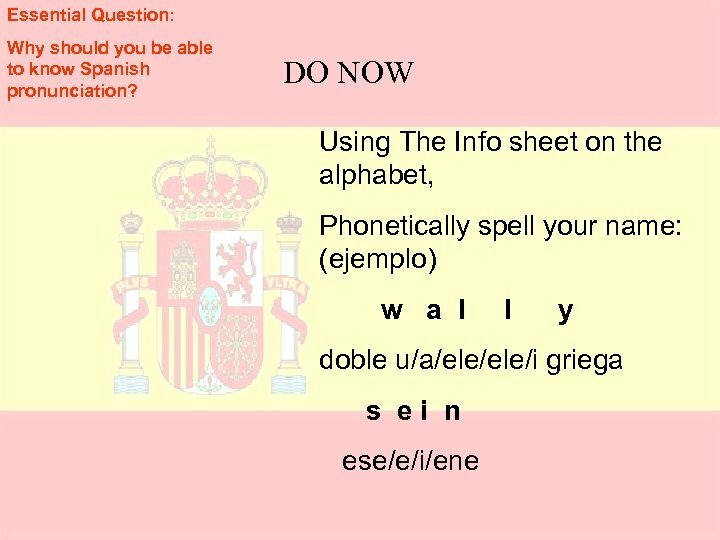 Be able to pronounce and explain your answer. ferrocarril ¡Venga! 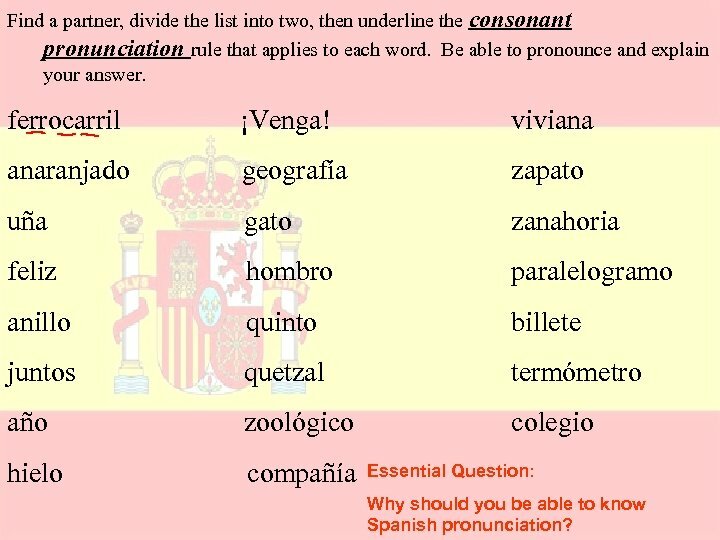 viviana anaranjado geografía zapato uña gato zanahoria feliz hombro paralelogramo anillo quinto billete juntos quetzal termómetro año zoológico colegio hielo compañía Essential Question: Why should you be able to know Spanish pronunciation? 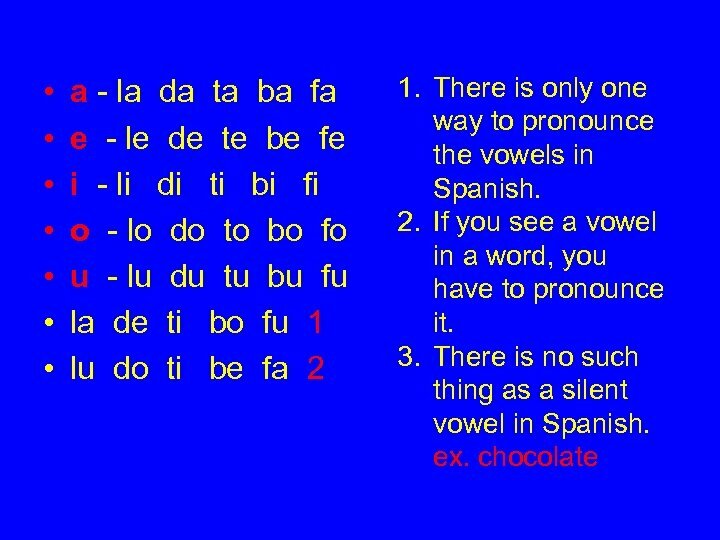 The letters b and v have the same pronunciation as b. bien, victoria The c of ca, co, cu is pronounced like the c in cot. cama, coco, cubo The c of ce, ci is pronounced like the c in center in cerebro, cierto Latin America; and with a th sound in Spain. The g of ga, go, gu is pronounced like the “G” in go. gato, gorra, guante The g of ge, gi is pronounced like helium. gente, gira In the letter combinations gue and gui the u is always silent. guerra, guitarra Occasionally the u is pronounced when it comes after a g. pingüino, cigüeña When this is the case, you will see a dieresis (ü) over the u. The letter h is always silent. hotel, hospital The letter j is pronounced like the h in heavy. Jorge The letters k and w are usually found in words kilogramo, windsurf borrowed from other languages. 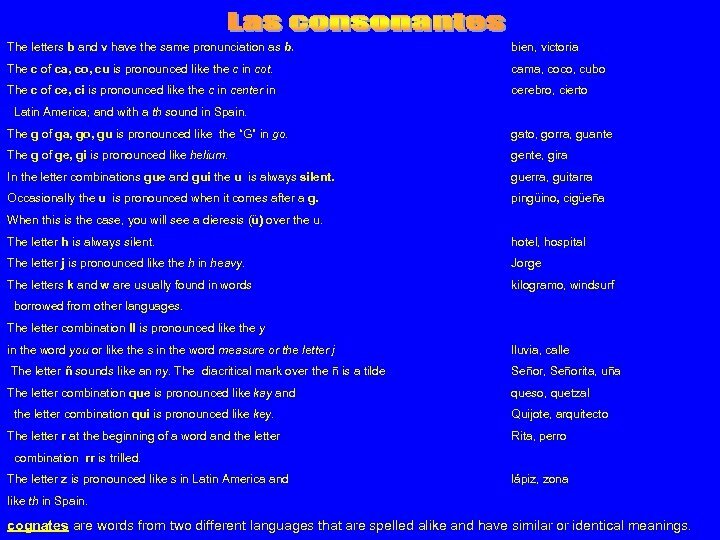 The letter combination ll is pronounced like the y in the word you or like the s in the word measure or the letter j lluvia, calle The letter ñ sounds like an ny. 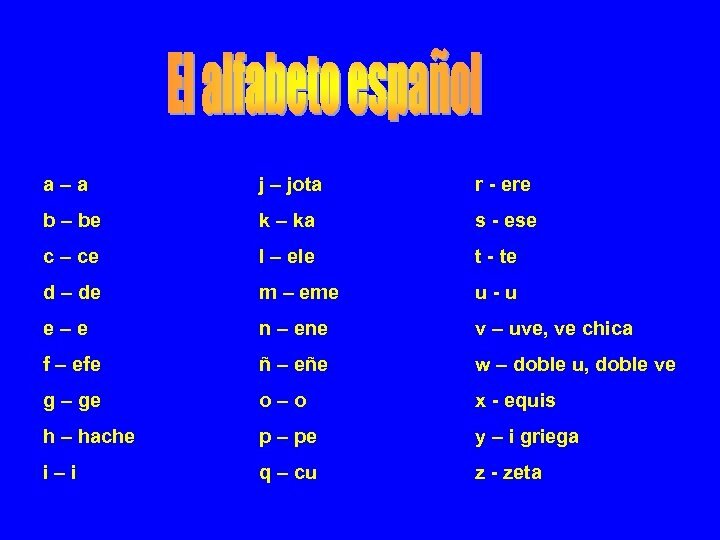 The diacritical mark over the ñ is a tilde Señor, Señorita, uña The letter combination que is pronounced like kay and queso, quetzal the letter combination qui is pronounced like key. Quijote, arquitecto The letter r at the beginning of a word and the letter Rita, perro combination rr is trilled. 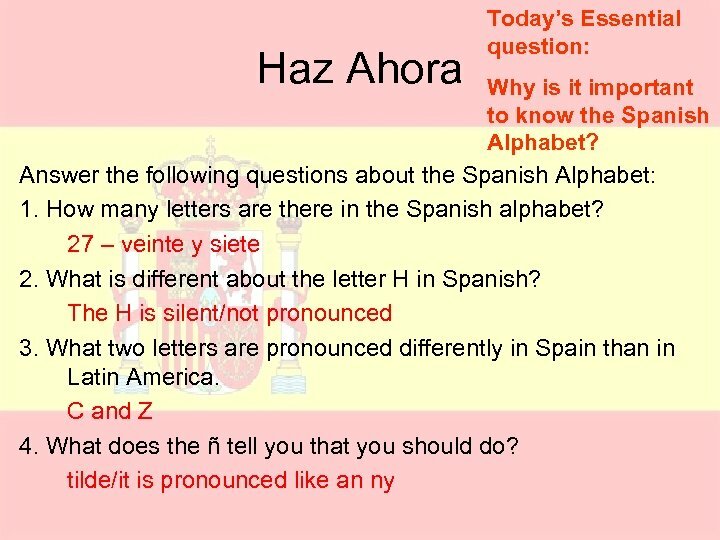 The letter z is pronounced like s in Latin America and lápiz, zona like th in Spain. 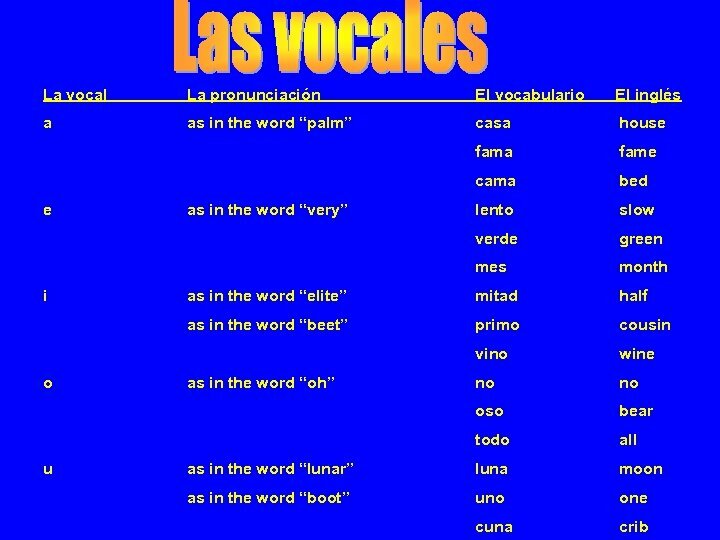 cognates are words from two different languages that are spelled alike and have similar or identical meanings.